Welcoming Intercultural Neighbours’ new Gladstone Inclusion Centre Opens! 11 Oct Welcoming Intercultural Neighbours’ new Gladstone Inclusion Centre Opens! 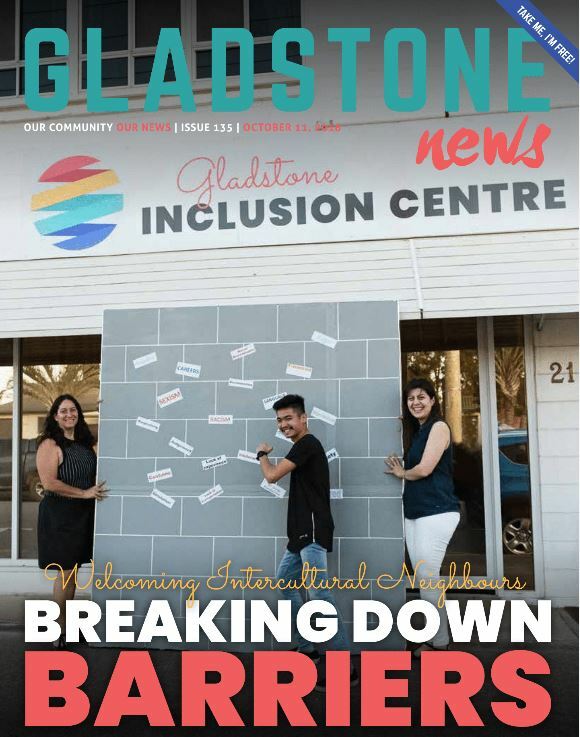 Welcoming Intercultural Neighbours’ new Gladstone Inclusion Centre will help build a community that embraces diversity, by breaking down the barriers residents face when settling into the Gladstone Region. Welcoming Intercultural Neighbours Inc. organises programs and events that promote cultural inclusivity within the Gladstone region and has been operating for the past eight years. As a driving force in the development of Gladstone’s cohesive community, the WIN team are excited to officially open their new home located at 21 Off Street in Gladstone. The organisation offers a range of services to the Gladstone community. Some of these services include; information sessions, consultancy, referrals, advice and support, networking, community awareness, events planning and promotion, advocacy, training and employment programs, children and family services and youth services. In addition to this, the group also advocates for improvements to policies and procedures relating to social integration, cross-cultural communication and community cohesion, across all tiers of government. WIN has 2000 community members registered on their database, 75 active volunteers and 9 staff. The service is essential in supporting those who are new to town and providing them with the support they need to become part of the community. The Gladstone Inclusion Centre was officially opened last Thursday. The new facility will enhance WIN’s existing services and programs by providing a safe, friendly and inclusive space for residents to socialise and learn. The venue will be available to all individuals and groups who seek to create educational spaces as well as social events and activities. President of WIN, Lyndal Hansen said the opening of the Inclusion Centre is a credit to those who have worked so hard to ensure its development. “The dream has been materialised in the development of the inclusion centre,” she said at the opening last week. Lyndal acknowledged that the support and donations received from local industry and businesses have been instrumental in the development of the project. At the opening, Councillor Rick Hansen spoke of the multicultural diversity of the region and the importance of the services that WIN can provide at their new centre. 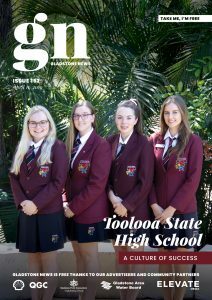 “The Gladstone Region has a very multicultural mix, with people from varying cultural backgrounds, languages and identities. They are all living and working in this place to improve their lives, and the lives of those around them,” he said. Cr Hansen praised the WIN team and said they should be congratulated for the work they do in helping people feel welcome and become part of the social fabric of our community. Upon entering the building, visitors are greeted by a dedicated reception area. Natalia Muszkat Executive Officer for WIN said “There are five office spaces all carpeted, air-conditioned and with an internet connection. The additional meeting room is also air-conditioned and has a capacity of 25 people”. There is also a large, air-conditioned multipurpose room with several power points; this room has a capacity of 100 people. The offices and meeting rooms are all conveniently serviced by a central kitchen space with a refrigerator, sink, cupboard space, kettle and microwave. Visitors will find a 13-space car park at the rear of the facility with four undercover parks. Chris’s Story – A little bit of WIN Magic! Chris Doring, a graduate Mechanical Engineer has benefited from the work of WIN first hand. Chris and his family arrived from the Philippines on the 1st of September 2009. Chris completed his education at Gladstone State High School and then went on to complete a Bachelor of Engineering at Central Queensland University. Chris explained that before he found WIN he had completed his university studies and was having a hard time finding a job in his chosen field. “I looked over my resume and thought it looked complete, but something mustn’t be right, especially when I considered how many jobs I had already applied for,” he said. It was then he decided to look into volunteering so he could add some community-based activities to his resume. That was two years ago and he has been a volunteer at WIN ever since. “I’ve been doing activities one after another. It’s like having a laptop, taking a cable and plugging it into the internet. You uncover this huge network of Not for Profits, academic and industry partners, social events, networking events, and a pool of resources at your fingertips,” Chris said. Chris said he is now working for the Gladstone Ports Corporation as a Graduate Engineer and still enjoyed volunteering for WIN. How has WIN helped you? Gladstone News spoke with three community members about how WIN has helped them settle into our community. How long have you been living in the Gladstone Region? What programs or services that WIN offer have you used? How has WIN helped you settle into the community? Jo is a volunteer and also assists in teaching English. WIN has helped Jo by helping her to meet new people thanks to networking opportunities. She enjoys helping others to feel more comfortable in a new environment.